On Saturday 18 April the Supporters of the Old Library enjoyed a fascinating talk on “The illuminated medieval manuscripts of Trinity Hall”. 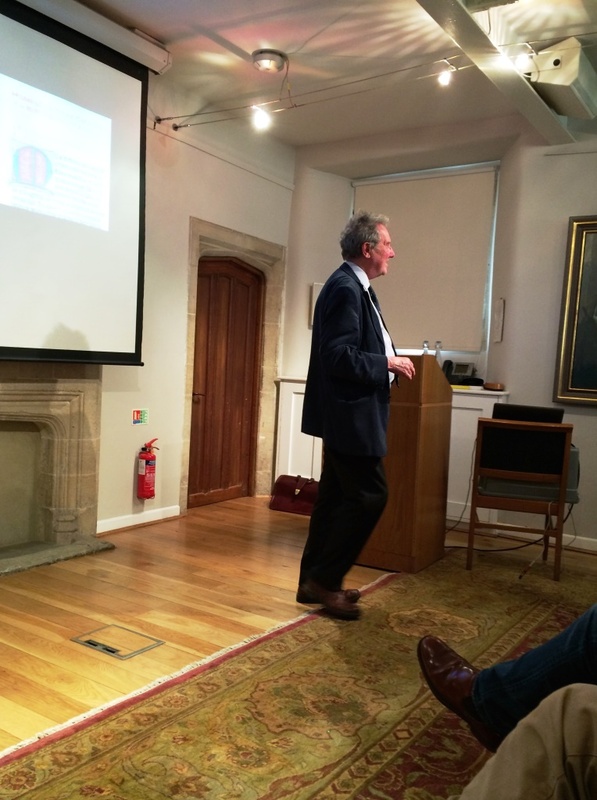 We were exceptionally fortunate to have such an eminent speaker in Professor Nigel Morgan, Emeritus Honorary Professor of the History of Art at the University of Cambridge and formerly Head of Research of the Parker-on-the-Web Project on the medieval manuscripts of Corpus Christi College. Professor Morgan selected five of our most significant illuminated medieval manuscripts, gave an introductory description and then looked at each one in greater detail with regard to production, artistic methods and provenance. Here we will take a look at the first three manuscripts. Josephus was born in Jerusalem and was a first-century historian. His History of the Jews is based on the Hebrew Bible, beginning with the creation of Adam and Eve. The inscription at the front of this wonderful 12th-century manuscript tells us that it belonged to Brother William of Monkland in Herefordshire, which was a cell of the Benedictine Abbey of Conches in France. Professor Morgan compared our manuscript to other manuscripts from Herefordshire and revealed stylistic similarities in the decoration (including the decorative use of small circles) which is typical of Herefordshire production in the second quarter of the 12th century. The instructions of Leviticus contained, amongst other things, moral teachings on marriage and divorce. The fact that Henry VIII had no less than three copies is hardly surprising considering his need to find moral justification for his divorce from Catherine of Aragon in order to marry Anne Boleyn! This manuscript dates from the second half of the 12th century and was made for Simon, Abbot of St Albans (1167-1183). The illumination of this manuscript is very distinctive and can be linked stylistically to other work by the artist known as the “Simon Master”, identifiable through the style of the figures and facial types in his historiated initials and his use of green outline for the initial frames. The “Simon Master” was probably a professional, lay illuminator who travelled as a team with a scribe as far as France and perhaps even Denmark to produce manuscripts on commission. 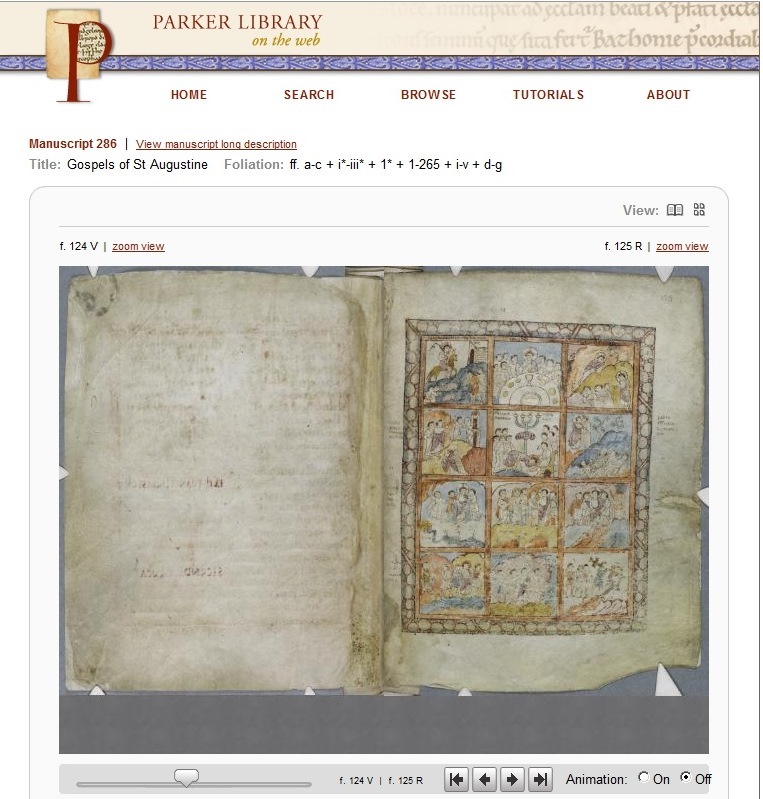 There are four manuscripts by the “Simon Master” in Cambridge libraries, including ours. This manuscript, which is a history of the Abbey of St Augustine’s in Canterbury written by Thomas of Elmham, dates to about 1410. There are two full-page images. 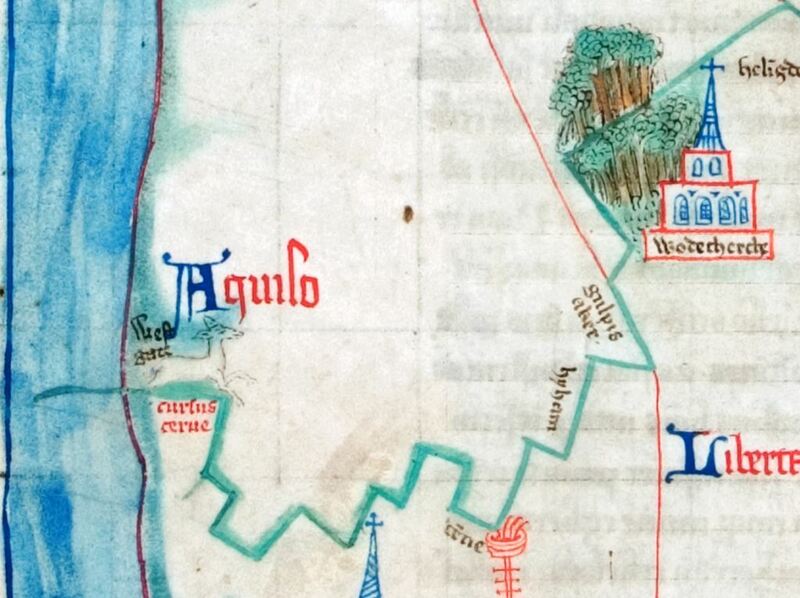 The map of the Isle of Thanet shows the lands belonging to the Abbey and depicts the legend of the pet deer of Queen Domne Eafe which traced out the boundary of the lands of the Abbey’s manors. The map has the East at the top (instead of the North) and has recognisable place names, including Margate and Broadstairs. The plan of the East end of St Augustine’s Abbey is a remarkable record of an important place of pilgrimage. It shows the High Altar with two doorways leading to the chapels behind which contain the gold and silver shrines of saints associated with the Abbey, including St Augustine of Canterbury himself. On a ledge above the high altar we can see the relics of saints and six books in the centre. 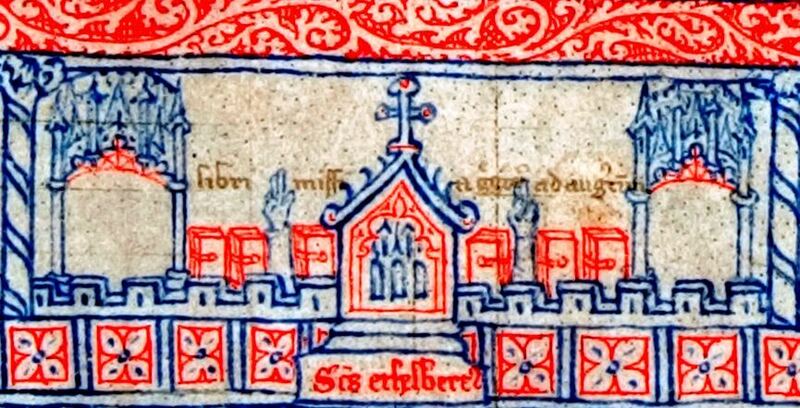 The Latin inscription above tells us that these were “Books sent by Gregory to St Augustine”. It is almost certain that one of these books was the Abbey’s great treasure, the Gospels of St Augustine (now in the Parker Library, Corpus Christi Cambridge). 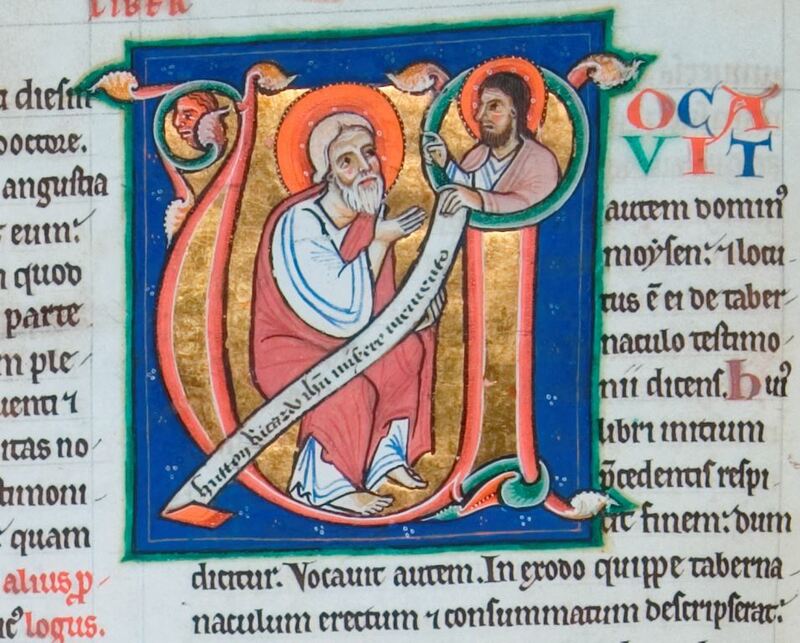 This manuscript therefore has the earliest known depiction of St Augustine’s Gospels! In Part 2 we will look at our other manuscript treasures which featured in the talk. Wikipedia for Josephus, the Book of Leviticus, the Benedictines, St Augustine of Canterbury, Thomas Elmham, and Domne Eafe. 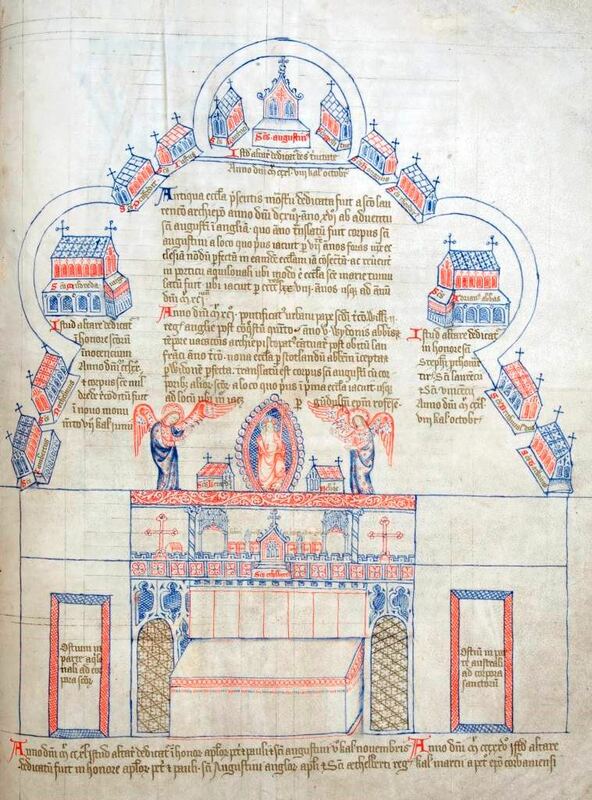 Professor Nigel Morgan will give a talk to Supporters of the Old Library on “The Medieval Manuscripts of Trinity Hall” in the Graham Storey Room, Trinity Hall, at 2:30pm on Saturday 18 April 2015. After the talk there will be an opportunity to visit of the Old Library to see its treasures. There will also be an exhibition of the “Medieval Manuscripts of Trinity Hall” in the Chetwode Room, featuring some of our rarely seen manuscripts. 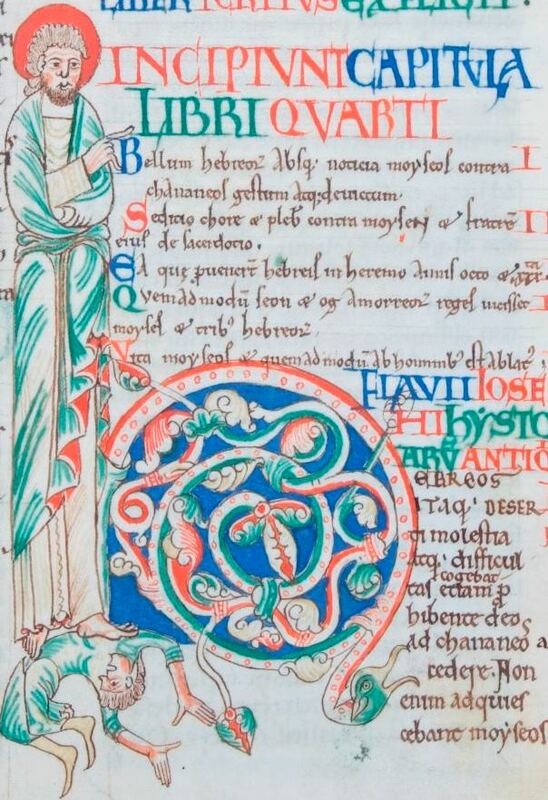 This manuscript “The doctrines of the Church against the blasphemy of Wycliffe” by Thomas Netter (Trinity Hall MS.3) contains a lovely illuminated initial showing the Virgin Mary holding the Christ child. Mary’s mantle is held up by an angel and kneeling on the left is the author, Thomas Netter, who is depicted as a Carmelite in white and black robes. This fifteenth-century manuscript was written in Ghent and is among the manuscripts which will be described in Professor Morgan’s talk. Go on then, sign me up!